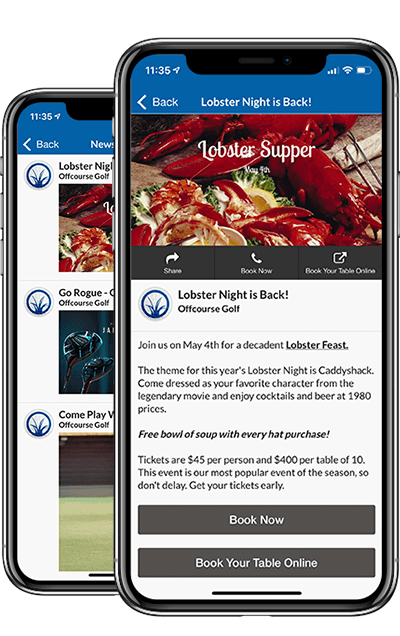 From daily-fee public courses to exclusive private clubs, custom mobile apps by Offcourse Golf keep members, guests, and customers informed and engaged. It's how today's thriving club grows sales and enhances service. 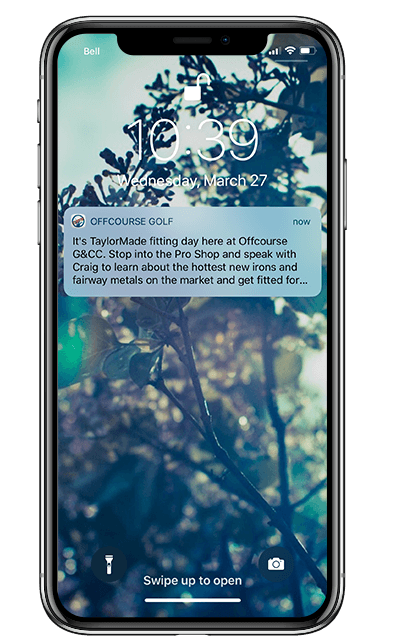 Use Push Notifications to engage with your members, promote sales and events, or sell last-minute tee times instantly. 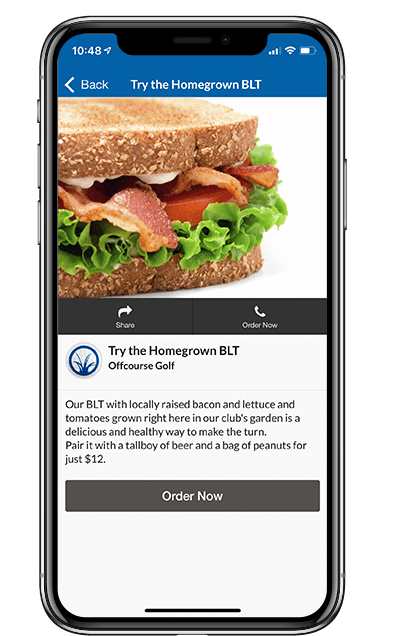 Upsell more F&B items at the turn and speed up the pace of play with fast and easy in-app Food & Beverage orders. 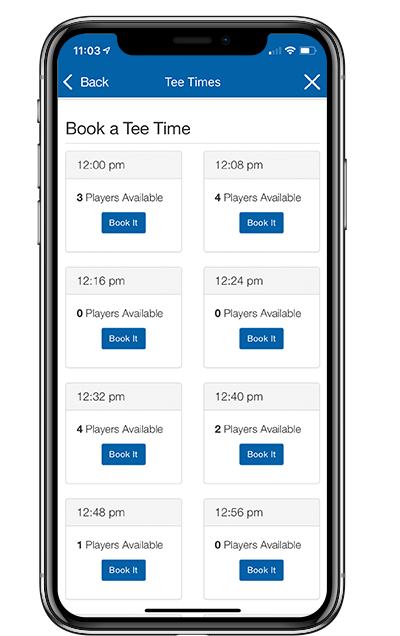 Make your app the information hub for everything happening at your club from F&B service to Pro Shop sales to special club events and more. Your custom mobile app has all the features you need to make powerful and profitable connections with your members and customers. Schedule your 1-on-1 consultation session to find out how you can use these features to drive sales, membership, engagement, and activity at your club. Your Work Email Please enter a valid email. If you'd like, tell us what you'd like an app to do for your club. Please enter a message. Thanks for taking the first step toward getting an app for your club. We'll be in touch soon to schedule your 1-on-1 consultation.